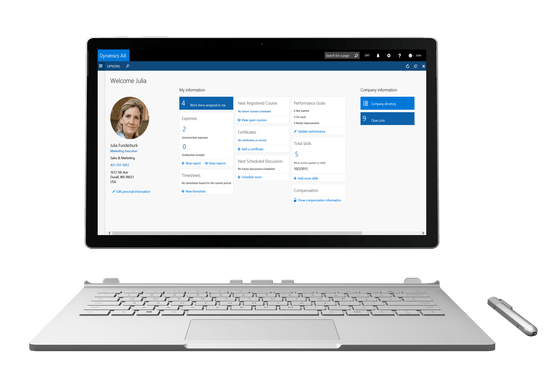 With the introduction of Dynamics 365 for Operations came the introduction of new navigation concepts. One of the most important new navigation concepts for me definitely is the navigation search. Navigation search allows you to find menu items, or pages, quick by just typing what you are looking for. You can enter specific page names, for example ‘All sales orders’ to navigate to that specific page. It helps if you are familiar with the naming conventions used, since some is specific to Dynamics. If you want to go to the ‘All sales orders’ page, querying for ‘sales order’ would not allow you to click through to the ‘All sales orders’ page, it isn’t even part of the results. This also is the case if you query for ‘sales orders’. If you want to navigate to the ‘All sales orders’ page, you really have to start with ‘all’. So, ‘all sales’ returns the ‘All sales orders’ page as the first result – finally. Only now you are able to use your enter key to perform the navigation without using your mouse (after all, your hands are on your keyboard already). However, that means you are forced to do more typing before you are able to navigate to the page you want to. Let alone it enforces you to know the page title or menu item literally by heart. So, that is what it is. But, did you know you could perform even faster navigation search? You are able to do this by only typing the first letter, or first letters, of words in the name of the page you want to query for. In example, if you want to navigate to the ‘All sales orders’ page, querying for ‘a sa’ is enough. You are also able to query for ‘all sa’ or most combinations of letters. However, querying for ‘a s o’ will not lead you the the required page as this returns the ‘Active service orders’ as the first result. Anyway, hit enter and you are on your way! In most of the implementation scenario’s I was involved in, the customer wanted to have the client displayed in the regional language. As a consultant, you are primarily working in Dynamics 365 for Finance and Operations in the English language. You know how everything is named in English, and can navigate quickly in that language but mostly fail to reach the same when you are trying to navigate in another language, or even your own language. I would suggest the navigation search to support searching in English all of the time, regardless of your user language setting. This would behave just the same as the (currently existing) ability to search for technical form names. We are all used to performing tens, if not hundreds, of queries a day on search engines whilst browsing on the internet. Nowadays the logic used by these search engines is so advanced, that we are helped to have the best matching results displayed first. The navigation search in Dynamics 365 for Finance and Operations is still very, very unintelligent if you compare it to a search engine. Most of the times the first result is not what you are looking for, except if you query explicitly on the exact name of the page. Sometimes the first result is even a page that you know you aren’t using that often, or haven’t even used at all, ever. And the system knows this. With all the telemetry, of course does it now that you haven’t opened a specific page, or that you are opening the all sales orders page multiple times a day. Why wouldn’t the navigation search be able to learn from this telemetry? How great would it be if most common used pages are prioritized in the search results. This could be based on you, as single user, but you also could imagine this bolder: why not use telemetry for more intelligent navigation search across all instances of the solution deployed, worldwide? In general, but maybe even based on the industry your company is in, compared to similar companies. Well, we might see it in the future. Or not. At least I hope the navigation search will get some attention as it is a really great feature currently not operating at it’s fullest potential.